At NC State, you’ll be part of a university that is nationally and internationally ranked for its academic programs and research opportunities. We are the only nuclear engineering program in North Carolina and a premier department in the world – #5 U.S.News Best Engineering Graduate Schools. Our faculty are active in research. It inspires their teaching and your learning. We have an Accelerated Bachelor’s/Master’s program to complete two degrees. We specialize in nuclear materials and fission power, computational science, industrial applications of plasma, radiation applications and radiological engineering. NC State is consistently ranked one of the top values in higher education. Value is where quality and affordability meet. We are proud of our high-quality undergraduate programs. We invite the best and the brightest to apply, and we mentor each student individually through graduation. Our students have many opportunities for professional growth, including undergraduate research, co-op work experience, study abroad, and membership in professional societies. Application for admission to NC State is handled at the university level. Once admitted and enrolled, students apply to join the NE department by meeting the College of Engineering’s Change of Degree Application (CODA) requirements. Our graduate programs offer research degrees with graduate assistantships at the master’s and Ph.D. levels. Application to NC State is handled at the university level by The Graduate School. In addition, please follow the department’s procedures to be considered for admission into one of its master’s or Ph.D. programs. We are also a leader in distance education. 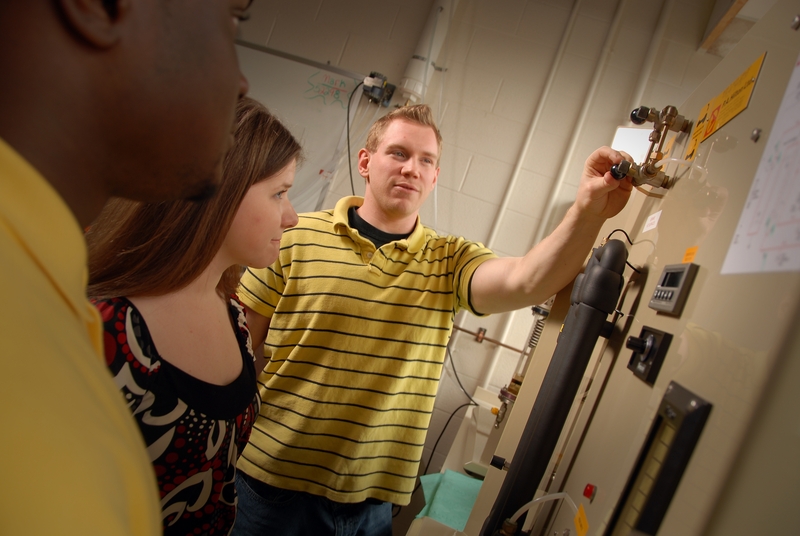 Students can earn a Master of Nuclear Engineering degree without ever setting foot on campus. Engineering Career Fair to find your future employer. Order of the Engineer to join the professional engineering community. Professional Engineer (PE) License for added certification. Student Organizations to engage outside the classroom. Study Abroad for global exposure and understanding. Centennial Campus for research and entrepreneurial partnership. Research Triangle Park (RTP) for university + industry collaboration. NC State is one of the most affordable universities in the U.S. with the numbers to back it up: #18 Best Value Public Colleges, Kiplinger’s, #25 Best Value College, Forbes, Top 100 Best National Universities, U.S. News. We know that money is a big part of your planning, and we have some resources to help. Completing the FAFSA application is the first step toward getting federal aid for undergraduate or graduate studies. The College of Engineering provides information for future engineering students and invites you to visit the college or take a campus tour. Visit us in Burlington Labs or contact our Office of Graduate Programs. If you’re interested in online programs, contact Engineering Online. Consult the Office of International Services, international undergraduate admissions, or The Graduate School’s Community of International Scholars. Learn more about NC State Admissions.